Clothing Poverty: The Hidden World of Fast Fashion and Second-Hand Clothes - Kindle edition by Andrew Brooks. Politics & Social Sciences Kindle eBooks @ Amazon.com. Have you ever stopped and wondered where your jeans came from? Who made them and where? Ever wondered where they end up after you donate them for recycling? Following a pair of jeans, Clothing Poverty takes the reader on a vivid around-the-world tour to reveal how clothes are manufactured and retailed, bringing to light how fast fashion and clothing recycling are interconnected. 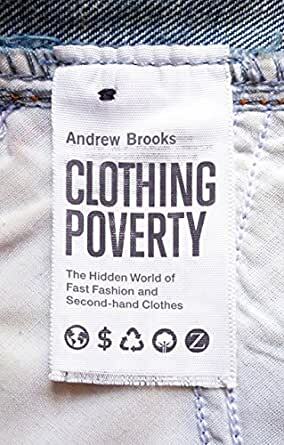 Andrew Brooks shows how recycled clothes are traded across continents, uncovers how retailers and international charities are embroiled in commodity chains which perpetuate poverty, and exposes the hidden trade networks which transect the globe. Stitching together rich narratives, from Mozambican markets, Nigerian smugglers and Chinese factories to London’s vintage clothing scene, TOMS shoes and Vivienne Westwood’s ethical fashion lines, Brooks uncovers the many hidden sides of fashion. 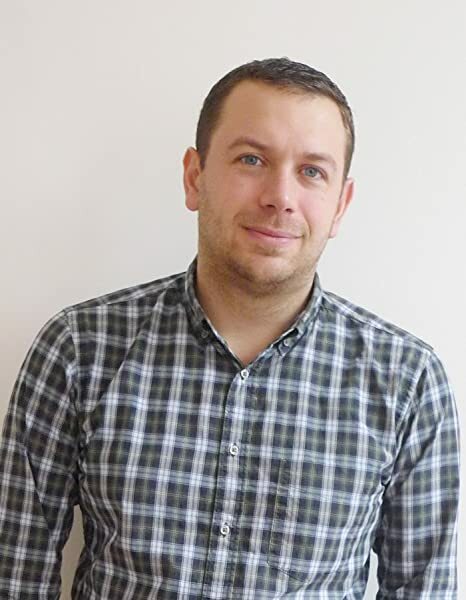 Andrew Brooks is a lecturer in development geography at King’s College London. He is the author of The End of Development: A Global History of Poverty and Prosperity, also from Zed Books. The title poses something you don’t actually find in the book and it misses a big point- at least in the United States, Americans receive a tax benefit when they donate clothes so there is a tax incentive to donate a lot of clothes. 4.0 out of 5 starsA wonderful topic set in a too-rigid analytical frame, but still rather readable and extremely informative. This could be an excellent book instead of merely good and informative. The author sets his intriguing analysis of the global used clothing market within a sort of neo-Marxist frame, more readable than one might expect, but it turns an interesting account into a case study for the inadequacies of global capitalist systems, asserting things much change lest poverty be institutionalized. In addition, Brooks uses some words that are likely to obscure his meaning. For example, most readers are not going to be interested in "fetishism" in the market and "semiotic" anything is almost guaranteed to put the general reader to sleep. So why four stars, if I'm this critical? Even with the bias, this is an interesting topic, and the book is full of information, much of it based on the author's experiences in Mozambique and elsewhere. Several chapters stand out. The others, well, readers sample the book before you buy. Chapter 1, "A Biography of Jeans" is interesting. The world market for jeans is $60 billion, an eighth of the global clothing sector. Chapter 3, "The Shadow World of Used Clothing" has intriguing discussion of where used clothing originates and how it is sold. The second hand global trade is $4.3 billion (this seems quite an underestimate), citing UN figures for 2013, and in some countries this used clothes market is the major source for clothes. Chapter 6, "Second Hand Africa" describes some of his experiences in Mozambique, and is informative on how the clothes are actually sold, and how people decide to buy them. One detail I have not seen elsewhere. Each year the US Super Bowl generates a huge amount of gear in advance of the game's result. The losing side gear cannot be sold in the US due to NFL rules, so it enters this trade. The other chapters may be interesting to some readers. One chapter discusses how cotton institutionalizes poverty, and the last chapter looks at ethics and describes some efforts at fair trade and related concepts, and how they play out. An excellent and well-researched, well-written work. If it is more academic than popular in orientation (or if readers do not know the definition of "system of provision"), that is not the fault of the author. 1.0 out of 5 starsNot a worthwhile read.